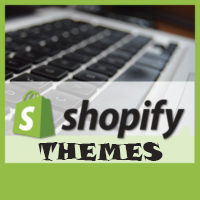 The below tips is best site structure to make your Shopify store eye-pleasing, user-friendly and rise in trust for customer. Try to keep it short, sweet and pronounceable! If visitors can’t even read your store name how do you expect to get recommendations. Would you buy from an unpronounceable store? Try to get the very best images possible. You want clean crisp images with detail. If possible with people using your product! The about us page gives you a chance to connect with your readers on an emotional and psychological level. Write a story around your products to connect with your audience. Get this right and conversions can rocket. Such as refunds and shipping info. Again these are often left out. Think about the actions you take when you land on a new website and you’re about to make a purchase. So many of you will do a quick check at the refunds section, just in case you need to return stuff. With no information people are hesitant to buy. So there you are just about to buy and you suddenly have a question. You look around then hit the “Contact us” where you are presented with a single form “Contact Us” no information about how long it will take to get a reply or anything, this is doom and gloom. On your contact page add every way they can contact you. Add your full business address, your email address, your support phone number, your Facebook page, your Twitter page. Add your opening times and the expected time for a response from you. Just have one trust seal in the footer of your site and one on the checkout page in a more prominent position. Trust seals are simple images which state something like “This site is secured with SSL” or “Verified by Norton” that sort of thing. Don’t over do it adding them everywhere. Avoid the common practice of adding optimisation widgets like “Offer ends in 10 minutes” Countdown timers, or so and so just purchased xyz. Yes urgency can help but in a new store, you won’t know if they are doing more harm than good because you have no sales data. You have to start with your product and offer first to generate sales not relying on urgency calls and countdown timers, they come second. These are designed as optimisations when you’re already making sales and you can see where you are losing some. You then use these apps to plug the gaps in your sales process. If you have no sales at the beginning then there is nothing to optimise for, so leave them off until you start to make sales. Especially the subscribe pop up right after you land on the page. Asking someone to subscribe before they’ve even looked at anything is like being asked is your food ok before you’ve even tasted it. If you do have to have a subscribe popup, then look at your average time on site in google analytics. In my case the average time on site is 3 minutes so what’s the rush. Give them time to look and get a feel of the site first, then make them an irresistible offer for their email. In my case my popup is set to one minute or if they scroll more than 75% down the page. Add some introductory content to the collection pages with all the relevant SEO tags to improve search engine visibility. Too often these pages are left blank or just full of product listings. Take a look at Amazon category pages for good examples! Post regular articles relating to your industry or product. Not just pictures of your product but useful, informative or even humorous articles. Creating one article a week would give you 52 supporting articles indexed in google. So if you sell toys talk about toys in general, safety concerns for childrens, toys for the infirm or elderly anything like that and link back to your category or product pages which matches the article topic. Don’t stick with the product titles your supplier gives you. Make sure you research your product in Google and see how the top ten sellers are naming the same products. Once you have the title nailed pay close attention to the meta description. This meta description is your only chance to entice visitors into your store once your listing is being seen. Which Minimalist Shopify Theme To Choose?